I have managed to delete this from my mate 20 pro. Can anyone tell me how to get it back or how to reinstall it without doing a reset and wiping my phone? 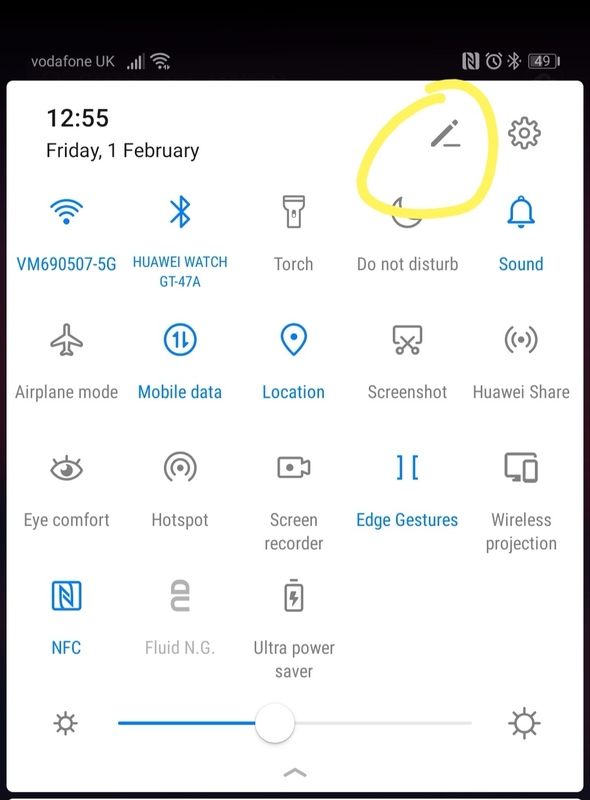 Are you sure you haven't just removed it from your quick settings? If you click on the edit (pen) icon the top of the drop down menu it allows you to add other switches. Have a look and see if it's there. Hmm, that's odd. Looks like it might have to be a reset. Sorry can't be more help. As @Jmoon stated, at this point, a reset will need to be performed for the device, so in that way the phone will get back to its initial settings, also having the Screen Recorder function. You will find all the options on how to reset your phone here. Hi @kerr2k, I have a suggestion that you could try to search "screen recorder" from hisearch(swipe down on the main screen), and if you can find it, maybe you can see the restore button on the right, click it, and the function will be back, but if you cannt find it, a reset will be necessary. Did you find it? Or did you have to do a reset to get it back?